EDINBURGH, AUG. 3, 2014 - Tom Daley of England celebrates during the medal ceremony for the Men's 10M Platform Final of diving on day 10 of the Glasgow 2014 Commonwealth Games at Royal Commonwealth Pool in Edinburgh, Britain, on Aug. 2, 2014. Tom Daley claimed the title with 516.55 points. 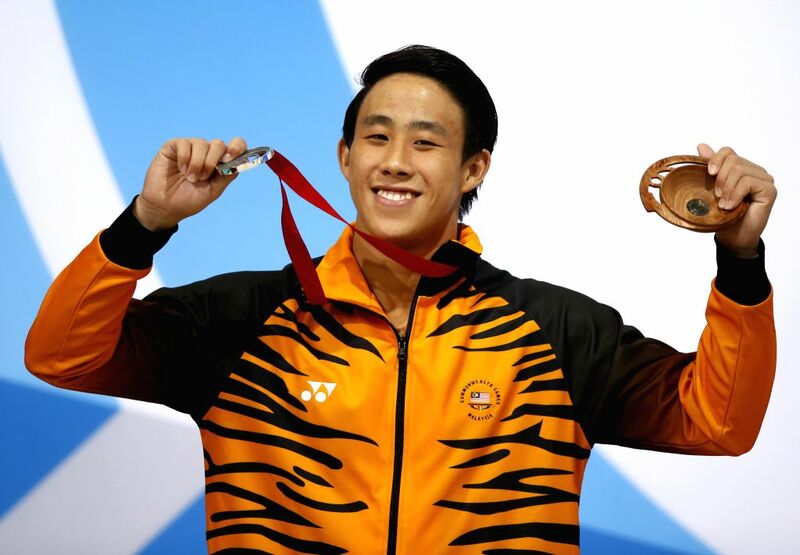 Silver medalist Ooi Tze Liang of Malaysia celebrates on the podium during the medal ceremony for the Men's 10M Platform Final of diving on day 10 of the Glasgow 2014 Commonwealth Games at Royal Commonwealth Pool in Edinburgh, Britain, on Aug. 2, 2014. Ooi Tze Liang took the silver with 433.70 points.